Mr. Traboulay is the Group Chief Operating Officer at Guardian Group. Prior to this appointment he served as the Group Chief Risk Officer at Guardian Group as well as a number of other positions including as the Chief Operating Officer at Guardian General Insurance Limited and Group Strategic Programme Director. Mr. Traboulay has over 25 years of experience in the local and regional insurance industry having served at an executive Board level in the broking, life, health and pensions and general insurance industry. 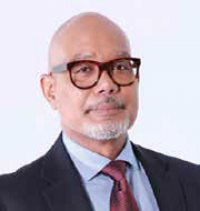 He is a former general manager of Risk Management Services Limited and former Managing Director of Trinidad and Tobago Insurance and Tatil Life Assurance Company Limited. He has served on the Board of Attic for the past 13 years. 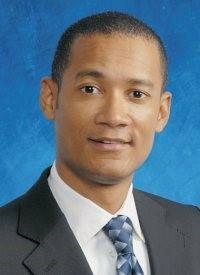 Mr. James Camacho joined the Senior Management Team of SagicorLife Inc. in May 2006 as the Vice President of Operations of the Trinidad Branch. He is also a Member of various Committees within the Sagicor Group of Companies. He holds a Bachelor of Arts Degree in Accounts and Finance and is a Fellow of the Institute of Actuaries specializing in Pensions. 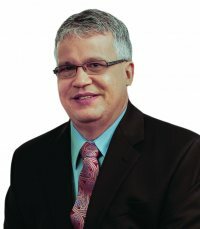 Robert Soverall is the Managing Director of ScotiaLife Trinidad and Tobago Limited. He has over 20 years’ experience in the financial services sector in the areas of investment banking, asset management, treasury management and life insurance. Mr. Soverall holds a Bachelor of Science degree in Actuarial Science from the City University, London, England, a Diploma in Business Management from the University of the West Indies and is a Chartered Financial Analyst (CFA) charter holder. 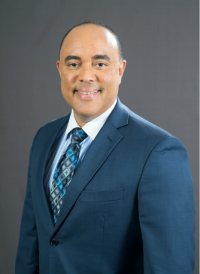 He is also a member of the Board of directors of Scotia Investments (Trinidad and Tobago) Limited, Scotia Caribbean Income Fund, and is a past chairman of Trinidad and Tobago Interbank Payments System Limited (TTIPS). With more than fourteen years’ experience in Investment Banking and a keen understanding in Auditing and Accounting, Jason is well-known for his work in several top companies with both local and regional reach. 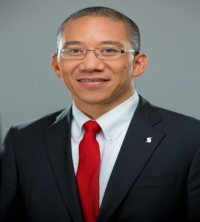 Jason gained a reputation for a firm understanding of risk management during his tenures at Citibank (T&T) Limited and RBTT Merchant Limited. Jason completed the Chartered Financial Analyst (CFA) program as well as the Association of Chartered Certified Accountants (ACCA), and also has a Bachelor’s Degree (Hons) in Industrial Management from the University of the West Indies, Trinidad. Mr. Baliram Sawh is the General Manager - General Insurance Services of the Maritime Financial Group. With over 25 years of experience in the Insurance Industry, his portfolio includes setting rates, establishing company guidelines, negotiating reinsurance treaties and underwriting select risks. He is one of a select group of persons in Trinidad who is an Associate of the Chartered Insurance Institute (ACII). Mr. Sawh was elected to ATTIC's Board in 2005. 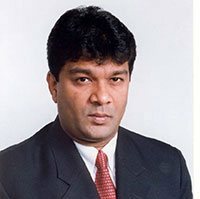 Anand Pascal is currently the President of Guardian Life of the Caribbean Limited. He was appointed to the position on 1st January 2014. Prior to this he was the Chief Operating Officer and held this position from October 2009 to December 2013. Anand has over 20 years insurance industry experience starting as an auditor with Price Waterhouse in 1992, where his primary clients were in the life and general insurance industry. He is currently a director of Guardian Life of the Caribbean Limited, ATTIC and the Insurance Association of the Caribbean Inc. (IAC). 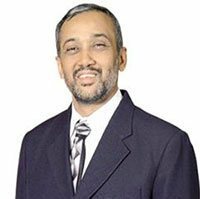 Anand is a fellow of the ACCA and a member of the Institute of Chartered Accountants of Trinidad and Tobago. Sean Jack has over thirty four years of experience in the insurance industry, all of which was gained at COLFIRE. Sean joined the organization in October 1982 as a Clerk in the Reinsurance Department. His potential was recognized and this lead to him assuming the position of Reinsurance Supervisor in January 1993. Sean then assumed the position of Assistant Manager in the Underwriting Department in February 1995 and he was appointed as Manager Underwriting in January 1998. This position was held until his promotion to the position Director/Chief Technical Officer in May 2013. Sean Jack currently holds the position of Director/Chief Executive Officer of COLFIRE, a position that he was appointed to on January 1st, 2017. He also serves as a Director on the Board of Temple Properties Limited and ASIS Insurance Limited, Companies that are both subsidiaries of COLFIRE. Sean is also the holder of an Accredited Director designation (Acc.Dir.) from the Institute of Chartered Secretaries Canada (ICSA). Ronald Milford is currently the Managing Director of Tatil Life Assurance Limited. He was appointed to the position on 1st September 2015. Prior to this appointment he served as the Chief Executive Officer at UNIPET, as well as successfully launched, marketed and managed multinational organisations within the Caribbean. Mr. Milford has over 32 years of experience in both the local and regional markets, starting his career at the Bank of Nova Scotia, Citibank and then moving into the management aspect of various multinational companies. Pepsico, Pricesmart (Trinidad) and Pricesmart (International) to name a few. 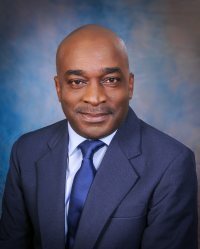 Mr. Keston Howell was appointed to the position of President and Chief Executive Ofﬁcer of Sagicor General Insurance Inc effective December 05, 2017. Mr. Howell has been a member of Sagicor Life Inc’s (SLI) executive management team since 2005. Recently he held the post of Executive Vice President and General Manager, SLI with responsibility for the Dutch Caribbean, (Aruba, Curacao, St Maarten) Belize and Panama. He currently serves as a Director on the Boards of Sagicor Finance Inc, Sagicor Asset Management Inc, and Sagicor Funds Inc.
His career includes key roles in the Financial Services Sector in Trinidad and Tobago where, as a member of the leadership team of RBTT Merchant Bank Limited, he served as Vice President - Risk & Control, and as an Assistant General Manager Syndication. Other appointments included senior roles at Scotiabank Trinidad & Tobago Limited and The Royal Bank of Trinidad and Tobago Limited. He is a Past President of the Securities Dealers Association of Trinidad & Tobago. Mr. Howell has over 18 years in the banking and insurance industry. Mr. Howell holds a B.Sc. Management Studies (Hons.) from The University of the West Indies, St. Augustine Campus, and an MBA Banking (Merit), from the University of London, London, England. Holds a Bachelor’s Degree in Economics from the University of the West Indies and an MBA from the Henley Business School. Entered into the Insurance industry in June 1992 as an agent with Guardian Life of the Caribbean and was prompted to a Unit Manager in 1997. In 2005 was recruited by Maritime Life as an Agency Manager. In 2010 he moved his agency to Algico/Met Life and was subsequently offered the position as Vice President, Regional Director of Agencies in 2013 with the Pan American Life Insurance Group. 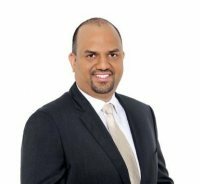 He has won several Company and Industry Awards and is a life member of the Million Dollar Round Table and was the Local Chairperson for Trinidad and Tobago in 2000 and 2001. He has served as President of the Trinidad and Tobago Association of Insurance and Financial Advisers (TTAIFA) and well as the Caribbean Association of Insurance and Financial Advisers (CARAIFA) where he served for two terms. In 2017 he was inducted into the TTAIFA Hall of Fame. 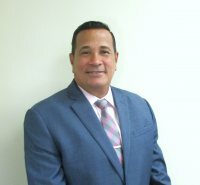 He is responsible for the developing and managing the strategic initiatives and plans for the Agency distribution, sales and marketing in the Caribbean for 25 agencies with 500 agents in 13 countries within the Pan American Life Insurance Group.